On January 1, 2017, all upcoming coal-based power plants in the country became subject to new environmental norms announced by the Union environment ministry. 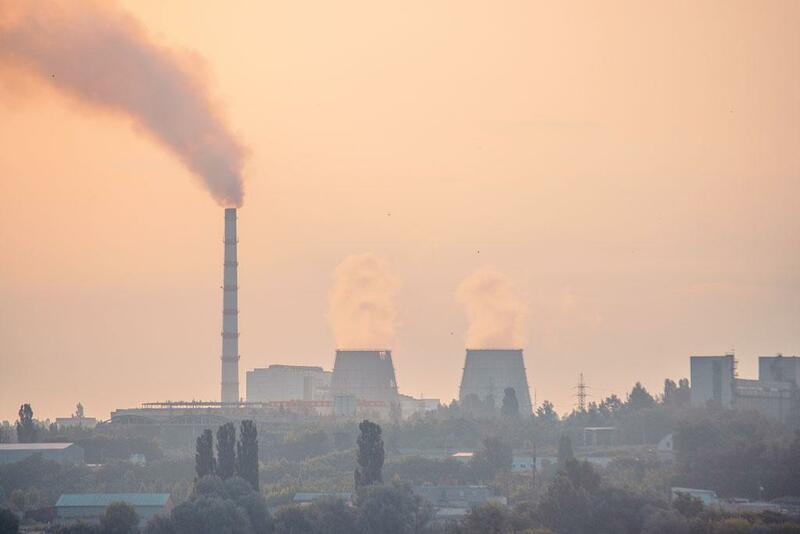 In a move to curb pollution from the coal-based power sector, the Union Ministry of Environment, Forest and Climate Change (MoEF&CC) had announced new emission limits for power stations, both existing and upcoming. For upcoming power stations, the new emission limits are: 30 milligrams per normal cubic metre (mg/Nm3) for particulate matter, 100 mg/Nm3 for both sulphur dioxide (SO2) and oxides of nitrogen (NOx) and 0.03 mg/Nm3 for mercury (Hg). The new environmental norms, announced in December 2015, are to be followed by existing power stations by January 1, 2018, and upcoming power stations—with a total capacity of 73 GW—starting this year. But while responding to a query in the Lok Sabha on March 28 on the status of implementation of the new norms, environment minister Anil Madhav Dave said, “Analysis on the level of implementation will be carried by the ministry only after the norms come into force.” The statement not only ignores the fact that the norms are already in force, but also indicates a lack of serious effort on the part of the ministry to ensure enforcement. This has already led to widespread violation of the norms. Four power station units installed until March 2017—NTPC Mouda and Rattan-India Nashik in Maharashtra, NTPC Feroze Gandhi in Uttar Pradesh and Sembcorp Gayathri in Andhra Pradesh—have not installed pollution-control facilities such as flue gas desulphurisation (FGD) units and selective catalytic reduction (SCR) units required to meet the new norms. Of the 73 GW capacity in the pipeline, projects with only 3.3 GW capacity will be equipped with the required treatment facilities. This means 95 per cent of all upcoming power stations have not yet made any plans to meet the new environmental norms. Analysis by Delhi-based non-profit Centre for Science and Environment (CSE )shows that failure to enforce the norms will result in a 64 per cent increase in the emissions of particulate matter, 85 per cent increase in sulphur dioxide and 70 per cent increase in oxides of nitrogen from the entire coal-based power sector by 2027. Such increases can cause severe damage to human health. Though it is important to enforce the new norms immediately, it is easier said than done. Upcoming power stations cite the difficulty of incorporating changes in the design of the power plant at advanced stages of construction. The construction of a coal-based power plant begins with the foundation and involves installation of the boiler, designing of an electrostatic pre-cipitator (ESP), and establishing of the balance of the plant by building a chimney and a coal-handling conveyor. Then, the boiler is lit up, subjected to a hydro test, and the turbine is synchronised with the grid. It is before this stage, which is called synchronisation, that the power station contractor approaches the state pollution control board (SPCB) for consent. After the consent is received, it is submitted to the concerned authorities in the power grid who allow the boiler to light up, synchronise with the grid and begin commercial operations. The CSE analysis shows that plants with around 33 GW capacity—4.5 GW in 2016 and 28.5 GW in 2017—will light their boilers by the end of this year (see ‘Urgent intervention’). Most of the power plants, which will start commercial operation in 2017, have already taken the necessary consent for operation from SPCBs. SPCBs, however, did not ask plants to adhere to the new environmental norms while issuing consents as their commercial operation dates were not known. The government should have intervened at the stage of granting consents itself. “Our consents are essential,” says A K Swar, senior environmental scientist, Odisha State Pollution Control Board. “Only after our approval, synchronisation of the power station with the grid is allowed.” Provisions of The Air (Prevention and Control of Pollution) Act, 1981, and the Water (Prevention and Control of Pollution) Act, 1974, can enable the government to enforce compliance with the new environmental norms. But these pieces of legislation do not clearly define when the consent should be issued and for how long it should be valid. States, on their own accord, decide the validity period of the consents. “In Gujarat and Maharashtra, the validity period of consents is usually five years. In Odisha, it is two,” says D D Basu, former scientist, Central Pollution Control Board. The SPCBs should revoke consents granted earlier and reissue them or impose additional conditions in the existing consents for the new regulations, says CSE. Sections of the Air Act, 1981, and Water Act, 1974, allow SPCBs to revoke consents granted earlier after giving a reasonable opportunity to the industry to adhere to the new norms. Given the excess capacity in the country, a delay in commissioning these stations of even a year to ensure installation of pollution-control equipment will not affect power supply. SPCBs must also reassess the consents for the upcoming power stations and revise them at the earliest to ensure installation of FGDs and other devices. “Re-engineering the ESPs to meet 30 mg/Nm3 is possible and will not affect operation of the boiler,” says Partha Kundu, general manager, KC Cottrell India Private Limited. In February this year, Union Power Minister Piyush Goyal had indicated that discussions were on to extend the dead- line for meeting the new norms beyond December 2017 for existing power plants. At least on this point, the environment ministry has refused to budge. Union Environment Minister Dave’s statement shows that despite pressure from the industry, the environment ministry does not intend to revise the deadline for meeting the new norms or dilute them. This story was first published in the May 1-15, 2017 issue of Down To Earth magazine under the headline "Imminent violation".